Corey Cooper, the new guidance counselor at all boys prep school, St. Leasing, discovers nothing is what it seems, especially the mouthwatering coach, Dominic Hardy. Looking to change her life, Corey Cooper moves across the country to a remote town in Colorado to become the new guidance counselor at St. Leasing, a prestigious all boys prep school. 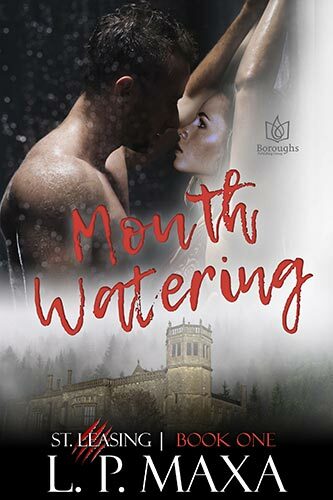 But soon she learns her attraction to the gorgeous head coach, Dominic Hardy, is more than the usual chemistry, and that her students are more than the typical randy teenage boys. Dominic Hardy loves his life at St. Leasing. As head coach, he's fulfilled by his career, and in the small Colorado town outside the school's gates he has all the entertainment a man could desire. No complications, no attachments, life was good. Then Corey Cooper comes to St. Leasing and Dominic's instincts kick in - she is his, and that's for life. Throw in a troubled teen, a tyrannical parent, and a mysterious disappearance, and all of a sudden everything at St. Leasing has become a matter of life or death for his kind.